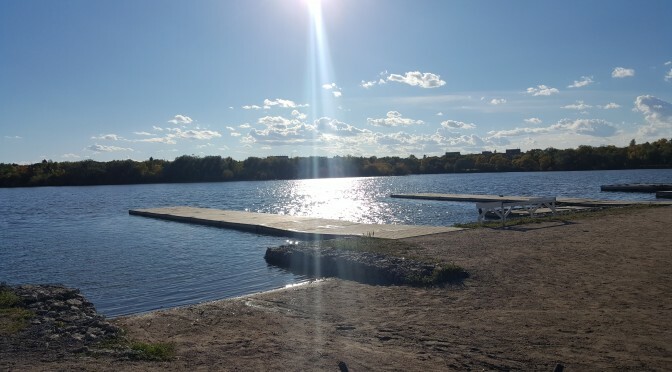 Similar to the 2015 NWIRA regatta, boat trailers will be stored on the Conexus Arts Center parking lot in a specified area. Please refer to the above photo. 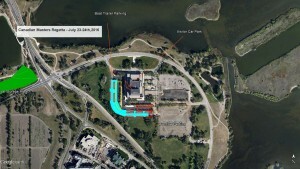 Vehicles with boat trailers arriving at the regatta site are to check in at the regatta control and then unload their boars at their designated site. Sites will be clearly marked. Attendants will be on hand to guide you to your appropriate boat storage area and parking stall. Overnight security will be provided on Thursday to Sunday night inclusively in the Pavilion/Boat Storage Area. All cars should be parked in the Conexus Arts Centre parking lot. The walk to the Pavilion from this parking lot is a short 5 minutes. Drop-off is available at the entrance to the trailer parking area but vehicles must not be left unattended.